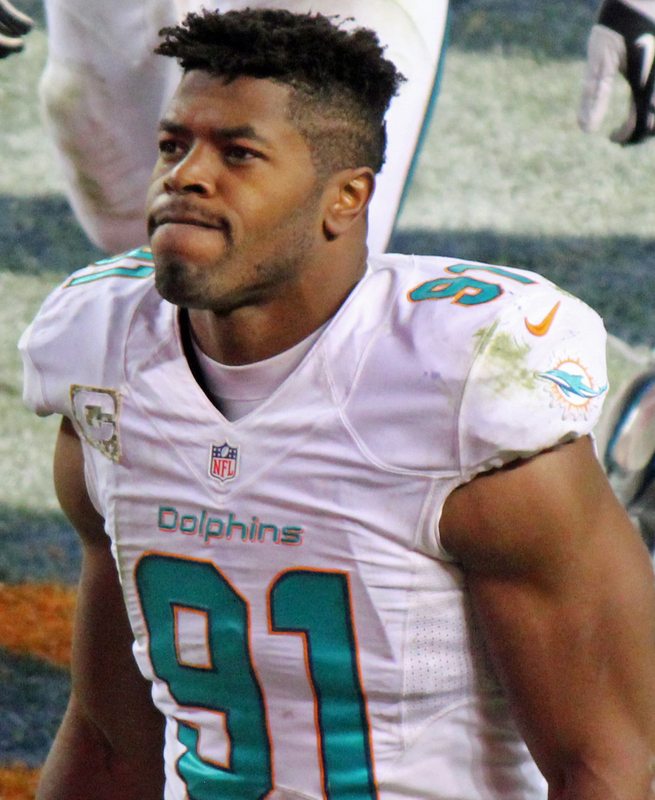 Cameron Wake is a stud. Pure and simple. He’s been defying expectations for years. His story has all the makings of a compelling narrative–failure, persistance, a chance, beating the odds, success, proving doubters wrong. He finally made it to the playoffs this year. A year that may be sweeter than many before. Wake has established himself as an elite defensive lineman in the NFL–no small feat. But, last year he tore his achilles. This is a brutal injury for a professional athlete. Furthermore, Wake was 33 at the time of the injury–another red flag for NFL personnel folk. People thought he was done. Boy were they wrong. Just like they were wrong every team decided he was not worth to be drafted. In the 10 games he played at full speed, Wake recorded 10.5 sacks this year. Remember, this is less than a year removed from an achilles blow-out. Miraculous stuff. Once again proving people wrong.